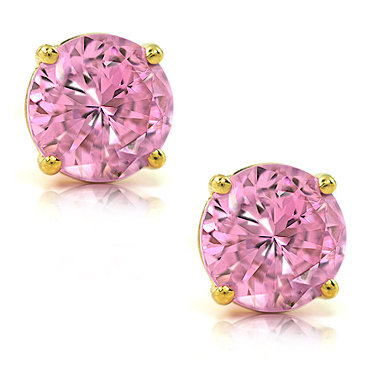 Our 1 Carat Each Round Pink Diamond Look Cubic Zirconia Stud Earrings will have you thinking pink! 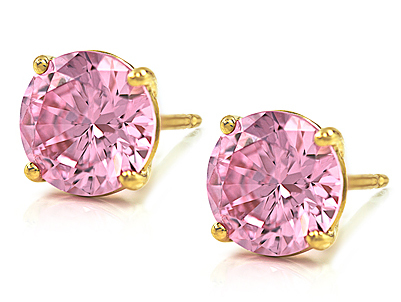 These stud earrings feature 1 carat each round man made lab created pink diamond look laboratory grown cubic zirconia stones that are subtle in color and brilliant in cut. 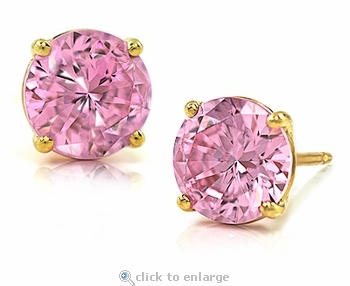 The round stones measure 6.5mm each in diameter. 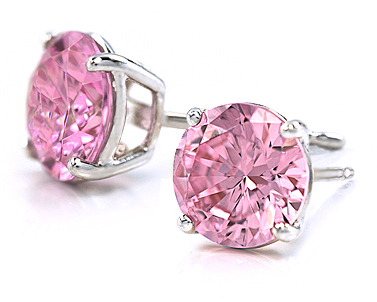 The pink diamond look studs are a traditional four prong basket setting and are available in your choice of 14k white gold or 14k yellow gold. 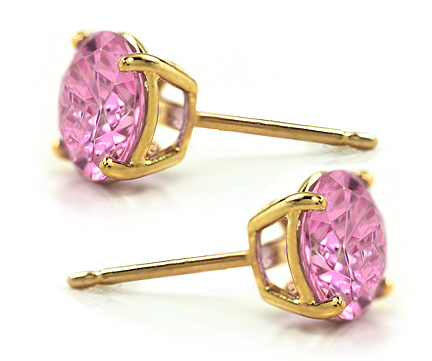 The 1 carat each pink diamond look cubic zirconia stud earrings are also available in 18K gold, rose gold or Platinum via special order. These pink cz diamond looking stud earrings make a great gift for anyone who loves the colors of soft pastel color diamonds as well as a great gift for Breast Cancer Awareness commemoration. 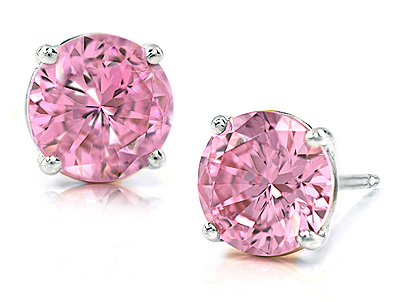 Please call 1-866-942-6663 for further assistance or you can Live Chat with one of our knowledgeable representatives.